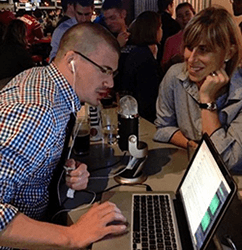 In this episode of PT Pintcast, Jimmy chats with Carol Mack, DPT, SCS, CSCS, about sports PT and going out on the limb of starting her own cash-based practice. Carol enjoys a cinnamon sugar rimmed Great Lakes Christmas Ale, and Jimmy enjoys a Jolly Traveler Winter Shandy. Carol is a former athlete, playing soccer through college at Duquesne University. She worked for 9 years at the Cleveland Clinic as chair of the Match Fit Soccer Rehab Performance Program, and co-coordinator of their Sports PT Residency program. Carol recently began her own sports PT practice, Cleveland Sports PT and Performance, and is currently the Chair of the APTA sports section’s Female Athlete SIG, as well as the content editor for the sports section website. Female focus – what does the female athlete SIG entail?